Father Franklin makes a point» Around 40 members of 6 commissions attended the programme. Kolkata -The Archdiocesan Pastoral Core Team (APPCoT) conducted an animation programme for six of the archdiocesan Pastoral Plan commissions on May 2, 2015 at Archbishop House, Kolkata. The day started at 10 a.m., with an opening prayer by Archbishop of Calcutta, Thomas D’Souza followed by a hymn led by Father Dominic Gomes, Vicar General, Archdiocese of Calcutta. Fr.Franklin Menezes began with a short introduction on the order of the day's proceedings. The first speaker of the day was Eugene Gonsalves, AICU president, who dwelt on Vatican II: Mission and Life of Laity. He threw light on the essential role of the laity where they were critical participants in fulfilling the mission of the Church. Both the priests and the laity work together to form the mystical Body of Christ. Fr. Jyoti, the second speaker, stressed on Jesus the liberator and activist, where he spoke about his mission to bring justice to the poor farmers in Delhi. We need to proclaim the good news and condemn the bad news, he pointed out. 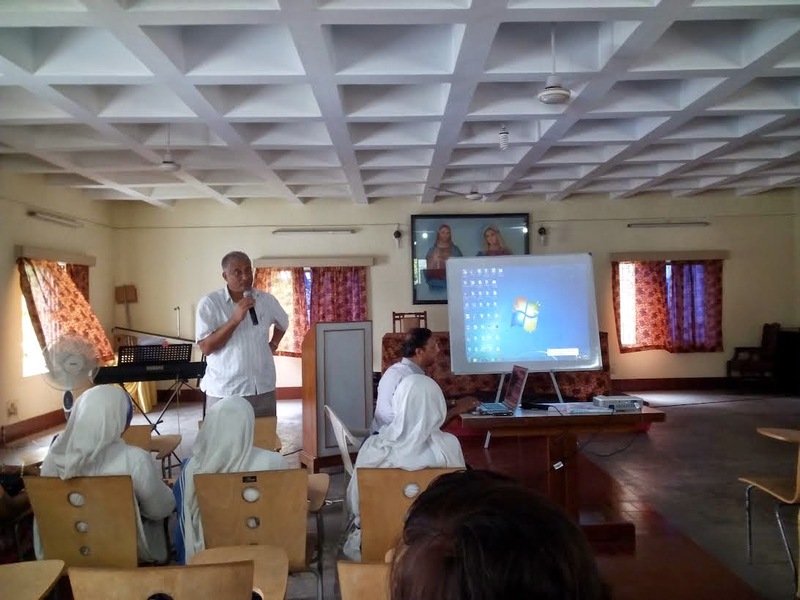 Mr. Steven Gonsalves of Seva Kendra Calcutta, who spoke on the process of pastoral animation, stressed on the goals and the role of the animators through the 12 commissions. He threw light on AIRPIEN – Awareness, Issues, Resources, Prioritization, Implementation, Evaluation and the Next Step, as a means of professionally going forward. Fr. Franklin Menezes then provided a framework for the pastoral plans of each of the commissions. He then spoke about Catholic Social Teaching (CST) and its seven key themes, the light and shadow situations, the setting of goals and finally the action plan. The floor was then thrown open for questions and clarifications. Fr. Dominic Gomes also previewed the schedule for animating at the parish level, at all deaneries of the archdiocese. This process would begin in June and by July, all deaneries would be animated by facilitators from the Commissions present. The closing prayer by Dr. Goswami was followed by a delicious lunch for all the participants.